Rmseed trading range for the day is 3855-3921. 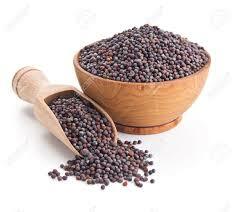 Mustard seed prices ended with losses on lower demand and on higher supply. Mustard sowing is completed on 6.953 million hectare as compared to 6.276 million hectare, higher by 10.8%. NCDEX accredited warehouses mustard seed stocks dropped by 111 tonnes to 3223 tonnes. In Alwar spot market in Rajasthan the prices gained 25.75 rupees to end at 4282.5 rupees per 100 kg.